From May 2nd to May 30th, Fundación L’Olivar, located in Ventalló (Alt Empordà), invites 4 artists working in various art disciplines such as painting, sculpture, video, performance and digital art. It is the first edition of the Artists in Residence Art-Nature-Landscape programme which encompasses residencies and exhibitions with the objective of fostering and conserving nature and landscapes, artistic creations and their diffusion in relation to the natural environment. During the four weeks the residents will develop a project related to nature and landscapes. Their works will be exhibited over the summer in the designated L’Olivar spaces and in the spaces of other cultural institutions. -‘Los ritmos del paisaje’ [The rhythms of the landscape] by Mar Serinrà (Catalonia): which is a project that creates images which show the integration between people and landscapes through the tracks our bodies leave in landscapes or natural environments. This project is inspired by Euritmia, an art discipline created at the start of the 20th century which seeks to show, through the movements of our bodies, movements which generate the sound of a word or music. 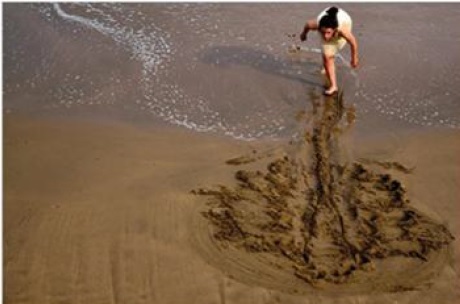 During her residence she will link the motion paths of the natural rhythm of the sea, the earth, the wind or the trees. 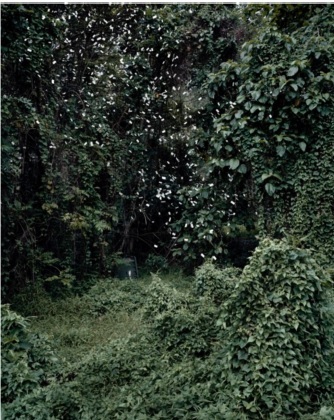 ‘The time of cities and the time of nature’, by Nandita Mukand (Singapore): the objective of this project is to understand underlying motives and the context of artists who question the disconnections between urban life and nature, especially with regard to aspects of time. -‘Untitled’, by Marina Barsy Janer (Puerto Rico) & Isil Sol Vil (Catalonia): the proposal is based on two bodies deformed by transparent wires which will be tied to a wooden scale. Each body will be positioned on opposite sides, looking for a mutual balance in equivalence to body masses. Prior to the installation-performance these two bodies will be subjected to a process of dietary changes in order to reach the same weight, which includes the deformation of both bodies. The installation will start with this process of ingestion and abstinence, excess and scarcity. It is a project which seeks to build a mimesis between objects-bodies-space, creating synergies between the body, the object of living-dead material (wood) and the natural environment (forest and sea). –Intervention ‘Site specific’ and a performance by Alejandro Chellet (Mexico): his proposal consists of constructing a pavilion inspired by the principles of bio-architecture. 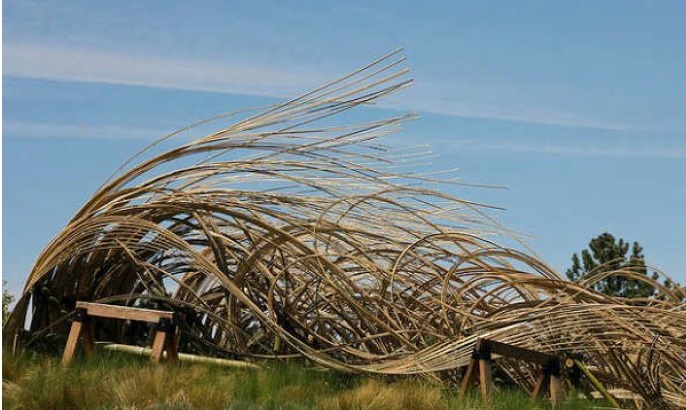 The pavilion will mostly be built using local materials and a main structure assembled using bamboo. The project wants to approach topics such as permaculture, ecology and bioclimatic architecture, which are currently being studied more and more, as well as becoming increasingly present in our lives due to the decline of energy and scarcity of natural resources. Once the four projects are publicly presented a weekend of interdisciplinary activities will be held, which will launch the summer season at L’Olivar, just before the celebration of San Juan. The objective of this weekend is to showcase creativity in relation to landscape and nature in different disciplines. These activities include a conference related to nature, landscape and public art with an internationally renowned artist; a round table debate on art and landscape, with the participation of art critics, artists, architects and landscapers; a music and poetry recital related to nature and landscape; music, dance and cinema, including the participation of different artists in these disciplines.